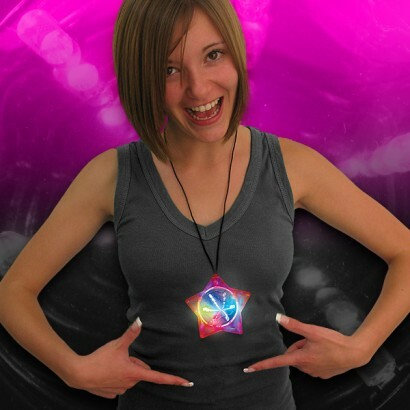 Stare into an endless tunnel of colourful light with the infinity tunnel pendant! 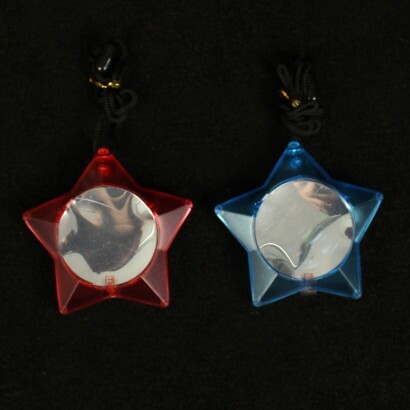 This battery operated star necklace creates an infinity illusion with glowing LED lights that slowly fade and change colour for truly mesmerising effects. Perfect for parties and also for sensory classes, this colourful illusion necklace really captures your imagination! Comes pre-loaded with 3 x AG13 batteries and fitted with a necklace string including a safety tug-release clip and is suitable for ages 3yrs +.